This is something that I have been avoiding posting about because I feel so defeated. It’s as though if I don’t write about it then it isn’t happening. Which is completely untrue, because I’m feeling all the feels, but just keeping them locked up inside. I have a small part of my soul that never fully healed from what we went through with Luke when he was a baby and the rash that Joshua developed a few weeks ago was like ripping off the scab of that wound and bleeding out all over again. Only the feelings have intensified from being locked away for so long. As though the pressure has built and now if I let them out, I’m afraid they will never stop. 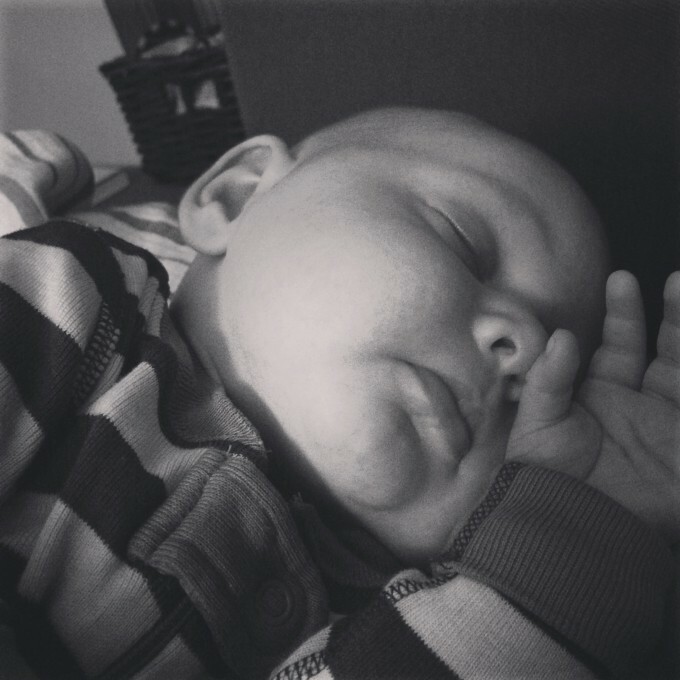 When Luke was sick, the horror of seeing my baby in so much pain and the intensity of lugging around a 2 year old and very fussy newborn to various appointments made my heart scream. I felt lost and alone. After receiving a diagnosis and cutting out various foods (gluten, most grains, dairy of all kinds, all sugar and chocolate), I felt overwhelmed. Many of the convenient and easy, yet healthy, foods that I was leaning on as a new mom were out and I had to find a new way of eating. I was urged to focus on meat, healthy fats and vegetables. But vegetables took a lot of prep time and with a baby who wanted to be held 24 hours a day and only slept for 40 minutes at a time, if I was lucky, the last thing I wanted to do with my 10-20 minutes of free time* was to cut and cook vegetables. On the weekends I would try to prep a huge batch of meat and vegetables while Allan held Luke, but most days I tried to food prep while wearing him in the Ergo, which was no easy feat considering he was a big baby – 9 lbs, 8 oz when born and he gained a ton of weight those first few months, most likely because we were nursing constantly! 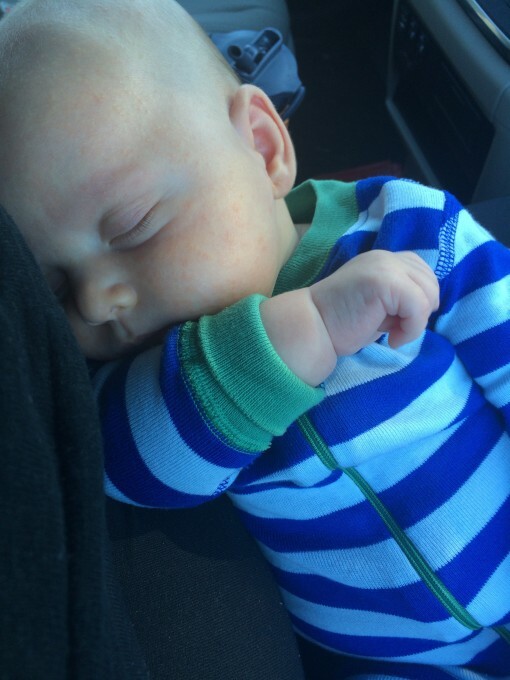 *It usually took me 20-30 minutes to settle him down for naps (nursing and rocking) and then I was eventually able to set him down or roll away off of our bed (after MANY failed attempts). I was typically left with 10-20 minutes of time before he woke again, still tired, but upset because he itched so badly. And the cycle would start again. 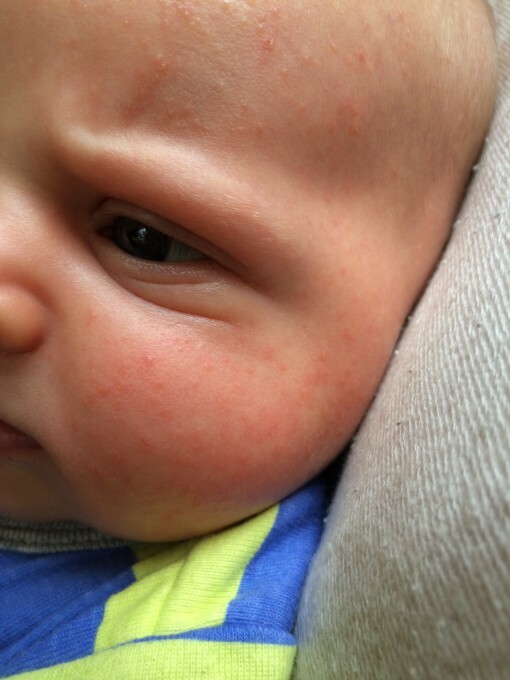 The week prior to Joshua developing a rash, I started having symptoms of mastitis and thrush, which Luke and I both had the week prior to him getting sick. I immediately tightened up my diet (no sugar and no grains at all), went on probiotics and intentionally rested. Then when Joshua’s face broke out and he stopped having regular bowel movements, after attending a friend’s wedding where I was served dairy (even after asking multiple times if the meal was “safe”), I was crushed. The anxiety rushed over me with an intensity that I have never experienced before. I was not a pleasant person to be around. I felt as though all of the hard work I had put in to avoiding dairy and gluten for the last three years on vacations, at restaurants, friend’s houses, airports, church, etc… all of the self-control, careful planning, extra cooking, limiting and annoyance to others was wasted. Which I realize is not the case. But it’s how I felt. So, I have avoided talking about it. Fortunately, Joshua is still a champion sleeper and isn’t vomiting. 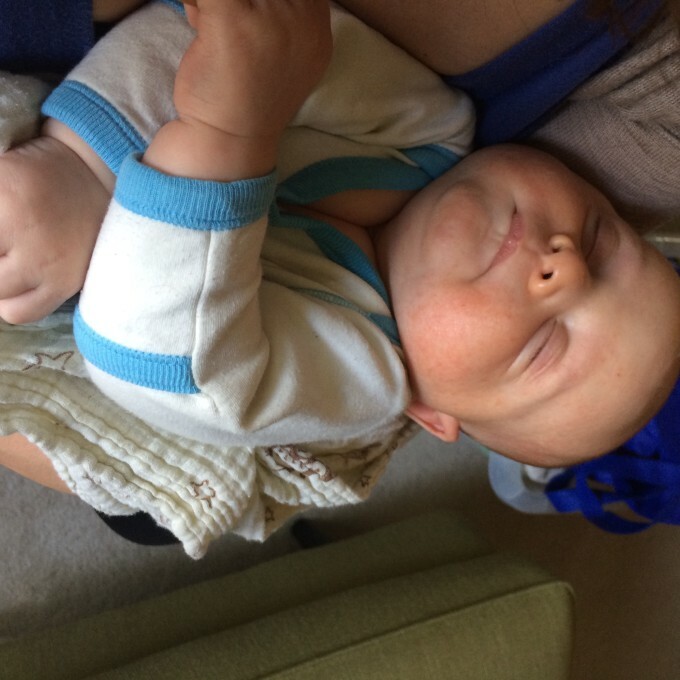 He naps well during the day and doesn’t need to be held constantly, although we do wear him often. I am thankful that he doesn’t seem to be too uncomfortable, although we do find him trying to scratch his face often, as the rash has started to aggressively peel. This time around, I know that this too shall pass and as long as I follow a protocol that works to kill yeast, all will be good. Fun fact: most eczema and cradle cap is actually due to yeast overgrowth. And most people have some sort of yeast overgrowth in their intestines due to the highly refined nature of our diets, abundance of sugar and overstressed lifestyles. Thankfully I am healthier and stronger this time around. I know to give myself grace and be patient with my feelings. Also, Allan is home to help me out when I need it. Which is the only reason that I haven’t slipped back into postpartum depression, as I have suffered after both of my previous pregnancies. Having a postpartum support system is of utmost importance and I am so glad that we listened to the Lord’s urging that Allan should take this time off, because those in my normal postpartum support system have all had major life changes in the last few weeks and I would have been left to fight alone. But I will write more about that another day. For today I’m just trying to focus on taking it one day at a time. Breathing deeply and drinking lots of water. Maria, you have so much courage and you are such an inspiration. Hoping and praying that Joshua is doing better and that he will not have the same allergies Luke does.